Note: This is a review of the whole series, but it won't include any spoilers. 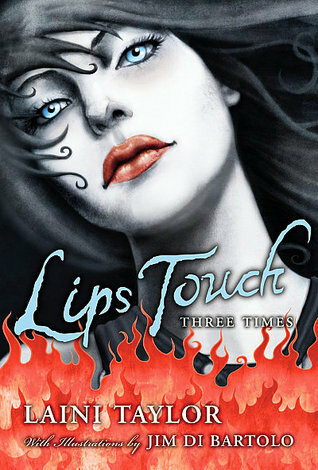 There are 23 books in this series and I can honestly say that I enjoyed and loved all of them! This was simply an amazing series and I had a hard time putting the books down, which meant I read all of them in a just few days. The story follows Tohru who has recently lost her mother, and since her father died when she was small she had to go live with her grandfather. When her grandfather announces that he wants to renovate the house, Tohru has to find another place to live for a while. Not wanting to bother anybody, she ends up living in a tent in the woods. She soon meets to members of the Sohma family and when her tent is ruined in a landslide, they offer her a home in exchange for her being sort of a housekeeper for them. But all is not what it seems with the Sohmas and she soon learns that there's an ancient curse on the family and she might be their only hope. It sounds like a story we've all read before, but I really think it wasn't. Takaya has created an impressive and magical story that had an unexpected depth to it, and with characters so rich and lively. The first five or so books are very lighthearted, but later on it turns much darker and get a more serious feel to it. But even in the midst of this, there always seems to be a little to smile or laugh at. I really was surprised by the depth of it, and how relatable the story was. Sometimes I just had to stop and think about the thinks spoken and the truth behind the words. Like how we shouldn't constantly agonize about the unknown future, but just take a step at a time, and eventually everything is solved by itself. I loved, loved all the characters in the series. There's a huge cast of characters, but I was never once confused by who was who, and what their story was or anything the like. I was wondering who was my favorite when I realized that I simply just love them all equally. They all have their own stories and struggles and we get to see them all, so that we can truly understand every one of them. They made me laugh and cry, made me happy and worry, and generally just wanting to hug them all. 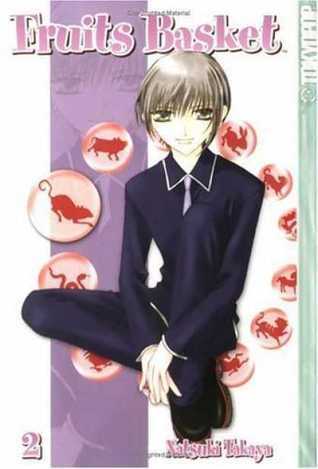 The main character Tohru has to be one of the most loveable main characters in any story. I know some people think she is a bit of a Mary Sue, and maybe she is, but I loved her and her ability to always smile and always be there for other people. She never, ever complains, although she has had a really tough time in life and has to face a lot with the Sohmas. Bottom line, this is one of the best series I've ever had the pleasure of reading and I sense a lot of re-reads in the future. I highly recommend this series, as well as the anime based on it. It has everything you could want in a story and much more. Howl's Moving Castle surprised me in so many ways. First of all I was surprised by how much I liked this book and really enjoyed it, since it's more of a children's book. But I couldn't stop reading it. I liked the writing, the characters and the magical world that DWJ has created. Then I was genuinely surprised by the story itself and how I couldn't guess all the things and basically know what would happen next. There were so many twists and turns I didn't see coming. All the secrets and mysteries were excatly that to me - mysteries. Maybe it's just me who is slow to catch on, but I really couldn't figure things out before they were revealed. It's kind of rare for me these days, so I'm so happy when it happens! I love guessing and second-guessing throughout a book. And I loved how all the little things and details each held a clue and some of them turned out to be really important for the story. As I mentioned I really liked the characters. They were so fun and full of personality that I couldn't help care for all of them. Especially our heroine, Sophie. As the oldest sisters of three she isn't supposed to be the one to go out and seek her fortune, but duly stays behind in the hat shop, which she will eventually inherit. She never complains and never tries to acheive anything, because she is the oldest. However, one day the Witch of the Waste enters the shop and turns Sophie into an old lady. Now Sophie must go out to seek her fortune and try to get her normal, young shape back. With her change of body, her perception of things also changes, and now she is less afraid of things, and plunges right out on adventures. 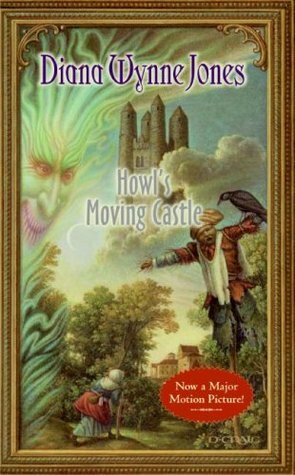 On the way she encounters the wizard Howl's moving castle and Howl himself who's rumored to steal young girls' souls and eat their hearts. But does he really? Howl was an amazing and different character. He is the most eccentric, vain and impossible person, yet somehow turns out to be one of the most powerful wizards with a huge ego. In the beginning it's difficult to see past these very prominent traits of his, but it's slowly becomes clear that there's something different beneath all this. He somewhat reminded my of Numair from The Immortal Quartet by Tamora Pierce, which might be why I instantly liked Howl, because Numair just happens to be one of my favorite characters ever. My only complaint about this book was the ending. I thought it was a bit rushed after all the built up, and I still had a few questions that I felt were unanswered. I will, however, be picking up the sequel in hope of a small glimpse of these characters and of course another adventure with DWJ. Overall, a very enjoyable book that I can easily recommend if you're interested in fantasy, magic and great adventures. Lately I have noticed that my taste in books has changed. It's like the more I read the more critic I become, so books I would priviously have loved don't interest me anymore. Also, I get tired of the same old same old. It seems most YA books are written after the same formula and therefore kind of blend together. Ever felt like that? Anyway, this has made me branch out and try new kinds of books and different genres. It has also made me re-evalutate books I've tried to read before but didn't catch my attention the first time around. Maybe I just wasn't in the mood to read them at the time, or maybe I just wasn't interest in that specific type of book etc. So, I decided to pick some of those books up again, mostly those I couldn't quite why I disliked it and put it down (because there's always those books that just wasn't for you). It actually started with Daughter of Smoke and Bone by Laini Taylor. I picked it up over a year ago and couldn't get into it, so I put it down without really having read much of it. All the hype for it didn't make any sense to me. Then in the spring this year all the buzz for the third and final book begun. It made me curious once again, and since I couldn't remember why I hadn't liked the book the first time, I decided to pick it up again. This time turned out quite different. I immediately fell in love with it and flew through all three books. It made me realize that my first impression of a book isn't always right and sometimes you need to give a book a second chance. Re-reading books can sometimes do this for me too. Books I liked the first time, I might end up loving the second time, though sometimes the opposite happens too. Now I plan to give more books another chance, especially those I might have picked up during a reading slump, because even an amazing book can seem dull in such a period. Have you ever given a book a second chance and have it completely blow you away? In Victorian times, goblin men had only to offer young girls sumptuous fruits to tempt them to sell their souls. But what does it take to tempt today's savvy girls? A demon and the ambassador to Hell tussle over the soul of a beautiful English girl in India. Matters become complicated when she falls in love and decides to test her curse. Six days before Esme's fourteenth birthday, her left eye turns from brown to blue. She little suspects what the change heralds, but her small safe life begins to unravel at once. What does the beautiful, fanged man want with her, and how is her fate connected to a mysterious race of demons? This is more of a mini-review since I can't quite collect my thoughts and proberly reviews these short stories that will do them real justice. Besides - and this might sound cliché - I really think you should go into Laini Taylor's book knowing as little as possible, because it will be all the more rewarding. This is a wonderful collection of stories. They were all very different though no less enchanting. They all revolve around a single kiss that changes everything. Laini Taylor's writing is beautiful and even the smallest things becomes profound with the touch of her words. Even though the stories are short, Taylor manages to create a full story with characters that feel real, that you can understand and sympathize with. The art in the book complement the stories so well and it is so incredibly beautiful. It adds well to the atmosphere the book and makes the reading experience even more fantastic. I liked all three stories, though my favorite was without doubt the second one, "Spicy Little Curses Such As These", but the first one "Goblin Fruits" was the one that made the hugest impression on me. I've been wanting to read this book in such a long time and read so many great reviews, so when I saw it very cheap on Amazon I instantly one-clicked it. I did not turn out well. I'll admit that I did laugh some throughout the book - which is why I gave it two and not one star - but I just about hated everything about the book. First of all, I wanted to smack the main character Bliss so many times that I quickly lost count. She was probably one of the most annoying characters I've ever read about. She did a lot of stupid and embarrasing things. I like books where the main character sometimes do or say something stupid or overly embarrasing because she's flustered or something, that's pretty normal, we all do. But Bliss...?! She does it all the freaking time, has no control over herself - despite in fact being described and proclaimed as a controlfreak. Certainly didn't show much! Second of all, I was not impressed with Garrick. I don't understand why everybody swoon over him. We don't really know anything about him, except that he for some odd reason likes Bliss. And that he is British and looks hot. That's it. Or maybe I just missed something. Thirdly, I really didn't get the attraction between Bliss and Garrick. I mean, she leaves him naked for no reason in her bed, and yet he is still attracted to her - though at this point he doesn't even know her. Then there was the love triangle. Of course. But since I didn't particularly liked Garrick and didn't see the great appeal, I was kind of rooting for the other guy, though I knew he had no chance. Another thing that annoyed me to no ends was how she ran into him all the freaking time in the first half of the book. It felt so staged that it seemed unbelievable. Overall, I did not like this book. Everybody was annoying or stupid. And I will definitely not be reading any of the other books in the series. 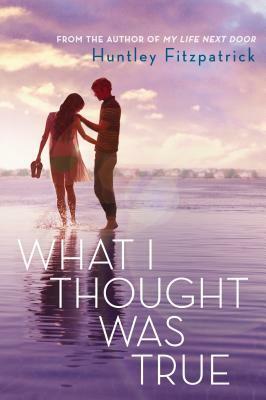 It's no secret that I love Huntley Fitzpatrck's first book, My Life Next Door. It's actually one of my all-time favorite books. So to say I was excited for another book from Fitzpatrick is to put it mildly. From the first reviews I read about the book, many noted that it was much different from MLND, and it was - and it wasn't. I'm not really going to compare the books that much, because they are not related in any way, so that would be pointless. But I would say that I loved Fitzpatrick's writing and her ability to create family dynamics, friendships and side charachters is amazing. And this was very much the case in WITWT too. Gwen is quite a different character than in many other contemporary books, where the protagonist always seem to be this perfect hesitant, pure virginal girl. Gwen was certainly not, though she is still a "good girl", but she has just made some bad decisions in her life. But haven't we all? I really liked her personality, she was feisty, strong and flawed, and also very compassionate. Her love for her brother and family was so genuine, but it also gave her these huge responsibilities both now and in the future - and she took bore them without complaint. She wanted to take care of everyone. Cass was so sweet, though I did at times question his character, especially before all is revealed. But all these little quirks about him, his sincerity towards Gwen's family and his charm soon won me over. Him and Gwen were so good together. Family was very central and present in this book and I loved Gwen's family despite all their flaws. I think family is one of the things that Fitzpatrick does best - not that any other things is lacking - but she just seem to capture all the different family relations and potray them so they seem so real. One of my few complaints about the book, was how long Gwen and Cass' past was withhold. It was just a bit too long, since both characters knew excatly what had happened, and we as the reader was the only one kept in the dark. But it wasn't too bad. Overall, I really enjoyed this book. It's an excellent summer read, and a book I know I'll return to in the future. Some time ago I watched the first trailer for the movie adaptation of Gayle Forman's If I Stay. I've been very nervous about this movie, since the book is one of my all-time favorites. But as soon as I saw it, I got so excited! Everything seems so right and I love all the actors for their different characters. And this is to date the only movie trailer that has ever made me cry. I've seen it several times now, and it has made me cry every single time. The only thing I'm really, really bummed about is that the movie won't be in the cinema here in Denmark. So I'll have to wait for the dvd before I can even watch it. I thought it was bad enough that they never even showed Vampire Academy, which I had been excited about too, but this...! C'mon what's wrong with them?! Guess I'll just have to be patienced then. Have you seen the trailer yet? What did you think about it? Hi, I'm Christina! Welcome to my blog, where I share my love for books and anything book related. I mostly read YA, New Adult, paranormal romance, contemporary and fantasy. Share book reviews and ratings with BookLoverRecommends, and even join a book club on Goodreads. Book Lover Recommends. Theme images by sololos. Powered by Blogger.